Brangelina, who announced they were divorcing back in September, say they are “committed to act as a united front” in order to maintain theirs and their children’s privacy. The statement, released on Monday night, read: “The parties and their counsel have signed agreements to preserve the privacy rights of their children and family by keeping all court documents confidential and engaging a private judge to make any necessary legal decisions and to facilitate the expeditious resolution of any remaining issues. The statement comes after Brad lashed out at Ange, 41, about how she was handling details of their split. The 53-year-old Fight Club actor argued that information regarding the custody of the pair’s six children should be kept private from the public. Brad’s legal team told a Los Angeles court that Angelina ”has no self-regulating mechanism” when it came to sensitive details of their split. 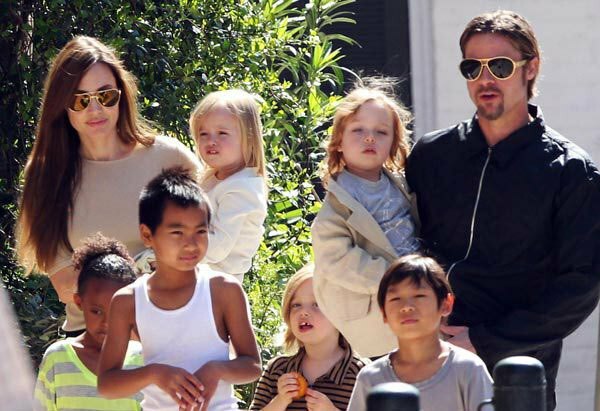 Angelina was granted temporary custody of the couple’s brood after the split. The decision came after it was alleged Brad was involved with a row with son Maddox, 15, on a private plane, which was said to have turned physical. Angelina filed for divorce just a few days after, citing “irreconcilable differences”. The Maleficent actress has decided to keep out of the limelight since the split.